Visitors and residents alike come to Aspen, Colorado to enjoy the more than 300-days of sunshine per year and a bounty of outdoor adventures making it the perfect place to build a timber frame home. 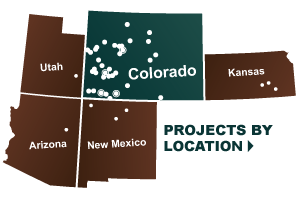 It only makes sense that San Juan Timberwrights, a timber frame construction company, is located in nearby Norwood, Colorado. San Juan Timberwrights has been custom building timber frame homes for Aspen, Colorado current and prospective residents for over 25-years. Owners Mike McDowell and Doug Wakefield have civil engineering degrees and bring a special combination of creativity, technical knowledge and hands-on expertise to the timber frame construction industry. They also have a shop in Arboles, Colorado and build homes throughout the state including Telluride, Durango, and Pagosa Springs. Located in the Roaring Fork Valley beside the Roaring Folk River, Aspen Colorado was originally founded as a mining camp during the Colorado Silver boom. Despite it’s humble beginnings, Aspen has become known as a “glitzy playground” for the wealthy and famous—many of whom have a second home in the area. This is probably due to the selection of high end restaurants, salons and boutiques. Not to mention the many cultural attractions including the Aspen Music Festival, Food and Wine Classic in Aspen, Aspen Snowmass, Aspen Art Museum, Theatre Aspen and the Aspen Santa Fe Ballet. Outdoor enthusiasts, don’t despair, there is plenty for you in Aspen too. The Roaring Fork River offers excellent trout fishing within the White River National Forest. Within 12-miles the area boasts four ski areas Aspen Mountain, Snowmass, Aspen Highlands and the Buttermilk Mountains, which offer some of best skiing and snowboarding in the world. Other outdoor activities include dog sledding, fly fishing, paragliding and camping.